The list and short biographies of the highly qualified instructors at Madama Brazilian Jiu-Jitsu Academy. Madama Jiu-Jitsu Academy is the home of world class martial arts instruction in Toms River, NJ. 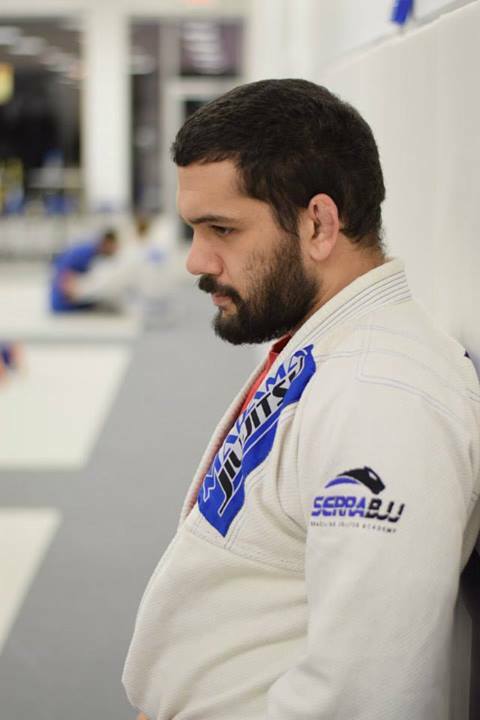 Josh Madama is a second degree black belt in Brazilian Jiu-Jitsu under Matt & Nick Serra. Professor Madama began studying jiu-jitsu in 1997 under Renzo and Rodrigo Gracie. In 2005, Professor Madama quit his job to start a full-time career as a Brazilian Jiu-Jitsu Instructor. As such, he has sought out and learned his craft under the area’s best Brazilian Jiu-Jitsu instructors including: Renzo Gracie, Rodrigo Gracie, Matt & Nick Serra, Ricardo Almeida, and John Danaher, among others. Kru Mike started his kickboxing training in 1999 and, in 2007, received his black arm band from Kru James Wellington (who is a black arm band under Kru Phil Nurse who has trained such notable MMA champions as George St. Pierre and Rashad Evans). Kru Mike’s style of kickboxing has a foundation based on Kru Phil Nurse’s hybrid Muay Thai style that artfully mixes Western boxing, quick counters, balanced movement, and powerful Muay Thai kicks. He is also a brown belt in Brazilian Jiu-Jitsu under Professor Josh Madama. Shamy is a decorated high school and college wrestler who began his Brazilian Jiu-Jitsu training while attending Rutgers University. Shamy continued his winning ways on the Brazilian Jiu-Jitsu tournament circuit winning many titles and championships for Team Madama Jiu-Jitsu. He was undefeated as an amateur mixed martial artist and has recently turned professional. Shamy is a black belt in Brazilian Jiu-Jitsu under Professor Madama. He teaches most of our morning striking classes and many grappling classes. Coach Jim is the primary coach for our Kids Brazilian Jiu-Jitsu and grappling programs. He also fills in and teaches many of our beginners and advanced classes too. Jim started training in the early 1990's under Royce Gracie when Royce came to teach at Maxercise Gym in Philadelphia. Soon after that Coach Jim started training under the first American Brazilian Jiu-Jitsu black belt, Craig Kukuk. After not training for over a decade, Coach Jim joined our team in 2008 and is a constant presence in our academy. A technical grappler, Coach Jim enjoys learning and teaching the art, and is always willing to share any of his knowledge with any of our teammates. Jim is a father of three and all of his children, and his wife, train at Madama Jiu-Jitsu Academy. Coach Kory is a very technical striker with a passion for boxing. Kory is also a brown belt in Brazilian Jiu-Jitsu. Sandi has been training in kickboxing under Kru Mike Lanzano since 2009 and recently earned her black armband. She is a dedicated, hard-working student and instructor who is also a purple belt in Brazilian Jiu-Jitsu. Professionally, Sandi is a registered nurse and a health & wellness coach. She has three kids of her own, all of which train at our academy.